Fall is in full swing and there are plenty of exciting activities going on from NorCal to SoCal. There's something for everyone's individual tastes from bar crawls to festive cooking classes. Here are a few of the coolest events taking place near the apartments for rent in Davis, CA. Looking for something fun to do on Halloween night? How does a a bar crawl sound? Eight participating bars in Sacramento will have $4 drink specials waiting for anyone who purchases an official Crawloween Mug. There will be a costume contest featuring prizes for the top 5 best dressed. You can also choose between three different crawls spanning multiple bars. If this semester has you feeling overwhelmed or life in general is getting difficult to manage, then this seminar at UC Davis can help you manage your multiple responsibilities. The goal of this workshop is to gain insight into the personal barriers that keep you from making the most of your time, as well as clarify the values that can help you meet multiple demands. It's a great way to get organized and put things into perspective. On Friday, November 10th, Old Soul is hosting a paint and sip class where you can paint a Sugar Skull in honor of Dia de Los Muertos. All the supplies you need will be provided from the easels to the aprons, and drinks will be discounted. The cost is only $25, but seating is limited. So, make sure to get your tickets early if you're interested. If you've never been to a Pacific Coast Brewing tasting event before, then this is the last year to get in on the action. The vent takes place on November 4th and features 12 rare craft beers along with 8 courses of delicious food to pair with them. It's a fun time to try something new and make a few friends in the process. Looking for something classy and delicious at the same time? Wine 101 is wine and food pairing event featuring recipes from the cookbook Culinary Creations. Valerie Patterson and Norma Poole will prepare a series of simple recipes as they guide you through the tasting, discussing how each paring compliments one another. Best of all, you'll learn how to make these simple yet decadent foods in your own home with the included cookbook. Wreaths are a large part of the holiday season, but have you ever considered learning how to make your own? This class at Strelitzia Flower CO. will teach you how to make on of four unique designs. Guided by instructors with over 25 years of experience in wreath making, students will receive all the materials they need to create a masterful work of art. Plus, you get to take yours home. Have you ever wanted to learn how to make a pie that will be the talk of the party?The Culinary Institute of America at Copia is willing to share some of their biggest secrets and masterful techniques in creating the ultimate desserts. This demonstration style class will teach you everything you need to know in order to make the perfect pie in your own kitchen from dough mixing to crust making. If you're looking for a way to give back this Fall, then the Love is Thicker Than Smoke walk is the perfect opportunity. All proceeds from the event to directly to charities actively working to provide individuals with relief from the recent fire in Northern California. Food, music, and entertainment will all be provided in the ticket price. Make sure to pick up a t-shirt! The Chateau Golden is hosting an outdoor dining experience around their pool with custom made farm tables, chandeliers, a bar and beautiful decor. The event features live music by Ash Foster and catered service by local chef Ashley Golden. Shrimp cocktails, asparagus bits, farm fresh vegetables, and more are all on the menu with beer and wine included in the ticket price. There will also be a corn hole tournament with a $10 buy-in. If you enjoy a nice glass of Kombucha tea, then this workshop by Classy Hippie Tea Co. will teach you how to make your very own brew. Highly educational in nature, the class will cover whaty Kombucha is and why it is good for you. You will learn the do's and don't of how to make it using Classy Hippie's recipe, and even a few troubleshooting techniques when a batch doesn't turn out quite right. All of these fantastic events are easily accessible from West Davis. 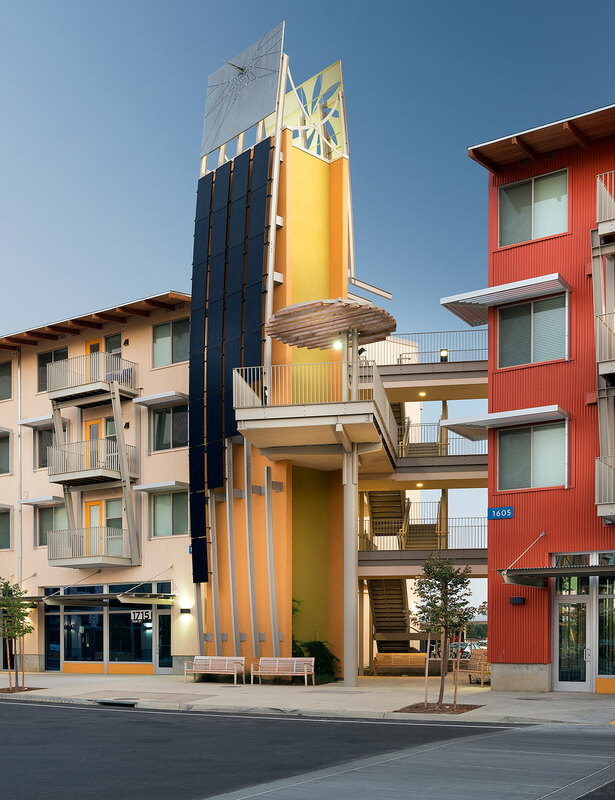 This newly designed apartment community at UC Davis is one of the nation's leaders in eco-friendly construction and green living. A slew of amenities offer support in living an active, healthy lifestyle, while the prime location places you right next to the vibrant city life of Sacramento. These aren't just homes, they're a new way to live.